Science is in your hands. 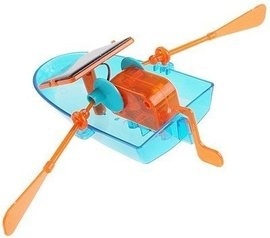 An Educational Model Kit. A chunky well build kit boat. Science is in your hands! The sun is the ultimate source of all energy on earth. Without it, life on earth wouldn't exist. 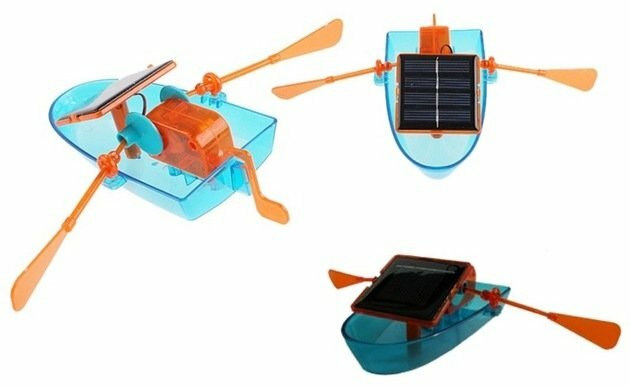 This solar powered boat demonstrates the use of solar power in our everyday lives. The sun provides energy to the 'solar cell' which powers your boat. So first have fun building it, then choose a sunny day to test it! For ages 3 years and over due to small parts.